Young companies tend to be perfect micro-cultures for the development of novel approaches to common problems. Enterprise Ireland manages a national pre-commercial procurement programme, Small Business Innovation Research Ireland (SBIR), designed to tap into this well of innovation. Does your start-up have the drive and vision to come up with a workable prototype to overcome a societal problem? If yes, keep reading to find out what is involved in this great public-private partnership! SBIR is a global innovative pre-commercial procurement initiative. It aims to address public sector needs and more generally benefit citizens, through engagement with the private sector. The public sector body (or challenge owner) in partnership with Enterprise Ireland, identifies an unmet need or unresolved problem. The idea is for small businesses to present innovative solutions to government agencies and public sector bodies to resolve societal problems. Each problem statement is tested through a competitive challenge. Each challenge is divided into two phases. Phase 1 is a technical feasibility study, and enables the company to really understand the scale of the problem. At the end of this phase, the companies present their findings and recommendations for Phase 2. A smaller number of companies are selected for Phase 2. Successful companies develop working prototypes that are tested in the field. Illegal dumping, flooding, and increasing the number of cyclists on city roads are just some of the challenges local councils have put to market through SBIR. 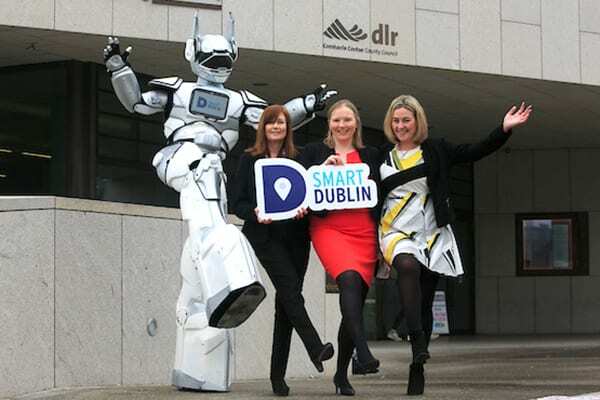 (l-r) Therese Langan, Transformation Project Manager, Dun Laoghaire Rathdown County Council, Marguerite Bourke, Manager, SBIR Ireland, Enterprise Ireland, Nicola Graham, Smart Dublin Regional Data Coordinator. (l-r) Maeve McGonnell, LexIcon Library, Tony Lawlor, Challenge Champion (Bathing Water Quality) Dun Laoghaire Rathdown County Council, Therese Langan, Transformation Project Manager, Dun Laoghaire Rathdown County Council, Marguerite Bourke, Manager, SBIR Ireland, Enterprise Ireland, Ronan Herron, Digital Strategy Officer, Dun Laoghaire Rathdown County Council, Mary Hegarty, Challenge Champion (Internet of Things) Dun Laoghaire Rathdown County Council. SBIR is a unique and practical approach with benefits for both the public and private sectors. Public procurers can drive innovation in a direction that meets their needs. Young businesses are given the opportunity to put their prototypes to the test, giving them that all-important competitive edge upon entry to the market. An SBIR award is not a grant, rather it is a 100% funded development contract, where the company get to work hand in hand with the specifiers to address the problem at hand. It’s a win-win for everyone involved! SBIR also provides opportunities for businesses to collaborate with other key stakeholders. After demonstrating success through a public procurement process, many products will go on to provide other real-world applications. Companies retain intellectual property rights over their product with certain rights of use retained by the contracting department. This enables the company to replicate the SBIR success in other public and private markets globally. Local authorities face a variety of challenges when managing cities and counties. Traditionally, when going out to procurement, authorities specify the type of solutions they were seeking. These pre-conceived specifications often made it difficult for companies to come back with novel approaches. The beauty of SBIR is that it allows innovators from outside the local authority to look at a problem with fresh eyes, providing much more innovative solutions. Now, authorities can access and test new technologies that they might not otherwise have considered. By providing a budget for product development and feedback from reference customers, SBIR helps start-ups overcome obstacles to the commercialisation of their prototypes. Take Sparrowatch as an example. This SME produces smart, low-cost security cameras. Company founder and CEO, David Tunney, had been developing and experimenting with different security camera ideas for a while and, through the SBIR Challenge, his security cameras became the solution to illegal dumping that local councils needed. Before he got in contact with SBIR, the business was not yet trading! The growth and expansion of Sparrowatch is a typical example of how an unmet need in the public sector was addressed by the technological development of a small business. David Tunney is certain that the benefits of the SBIR programme were invaluable for his business and “unique, in that you can actually talk directly to your customers and get validation on your concepts”. Sparrowatch is now working with all four Dublin local authorities in partnership with Enterprise Ireland in a bid to tackle illegal dumping and fly-tipping. Conor Cahill and Síle Ginnane run a development company called FluidEdge Innovation. 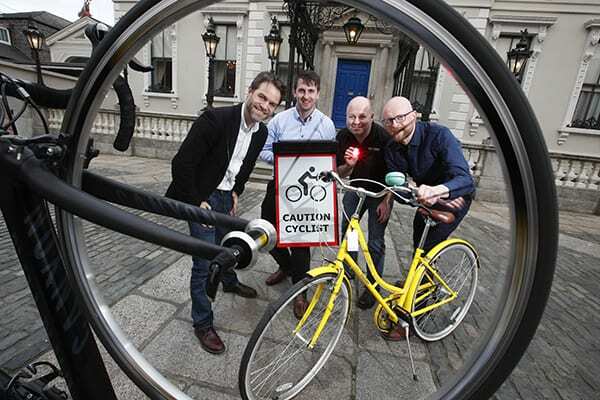 Conor has a keen interest in cycling and as well as volunteering with Dublin Cycling Campaign, he had worked on a wearable medical device and was keen to work on more Internet of Things projects. 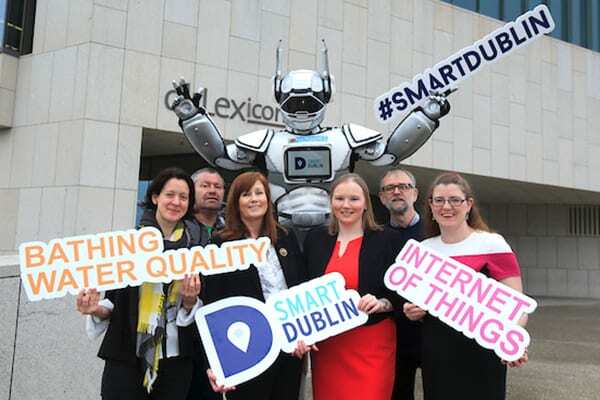 By chance, he attended an event where Sarah Scannell, the Walking and Cycling Promotion Officer for Dublin City Council, introduced the Smart Cycling Challenge, which aimed to increase cyclists in Dublin City. It felt like fate to Conor, and although there was less than a month until the deadline, he decided to submit a proposal. The solution put forward by FluidEdge was deceptively simple. The only touchpoint for participants was a bell on their bike which they used to record actual or perceived obstacles to safe cycling, as well as positive experiences. But plenty was happening behind the scenes: the Bluetooth-connected device was generating data about hotspots, which were highlighted in real time so that authorities could be alerted to poor road conditions or poor behaviour by other road users. Unlike the numerous audit solutions already available, FluidEdge’s solution collected qualitative, as well as quantitative, data about the cycling experience. Liberty Bell successfully completed Phases 1 and 2 of the scheme, with feedback from the various stakeholders being continually fed back into the project. Apart from the funding that supported the development of the Liberty Bell project, having Dublin City Council as the first customer was a huge benefit for Conor and Síle, and opened many doors for them. They have since gone on to win the international Bicycle and Pedestrian Challenge run by the Colorado Department of Transport (CDOT) and are looking for new cities to run the project in. You can find out more at libertybell.io. Thinking of throwing your hat into the ring? Be attentive to the needs of the client – remember the SBIR process is demand-driven. Keep it as simple as possible – good ideas are not always complicated (as demonstrated by the Liberty Bell solution)! Don’t lose sight of future expansions and add-ons – the potential for commercialisation is a major advantage of participating in the SBIR process. Enterprise Ireland’s SBIR programme provides fertile ground for small or young businesses to put their innovative ideas to the test. The programme has a dedicated fund to co-support innovative and competitive challenges. The experience provides a route to market for products that may, unknown to their creators, be the solution to an ongoing public service challenge. 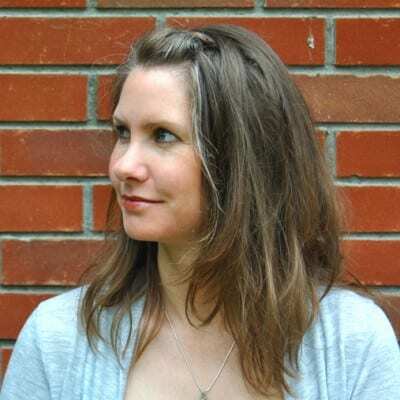 SBIR Ireland is managed by Marguerite Bourke. You can get in touch with the SBIR office at sbirireland @ enterprise-ireland . com or by calling 01 727 2178. You can also follow them on Twitter. You can check out what SBIR projects are currently open for offers by logging into your eTenders account, or you can see a preview by visiting the Small Business Innovation Research (SBIR) section of the Enterprise Ireland website.